It is said, your body is your best friend. Why? Because it will stay with you for the entire lifetime. But it can also be your worst enemy. If you don’t listen to your friend and don’t pay heed to it, it will repay you in the most gruesome way. There is no way you can take your body for granted. You need to listen to it, take care of it and nurture it. And it will reward you with a happy, healthy life. So how can you keep your body fit? By going to the gym, running, walking, having acrobatic exercise. But which will provide you the most enjoyment while benefitting your body? Sports! 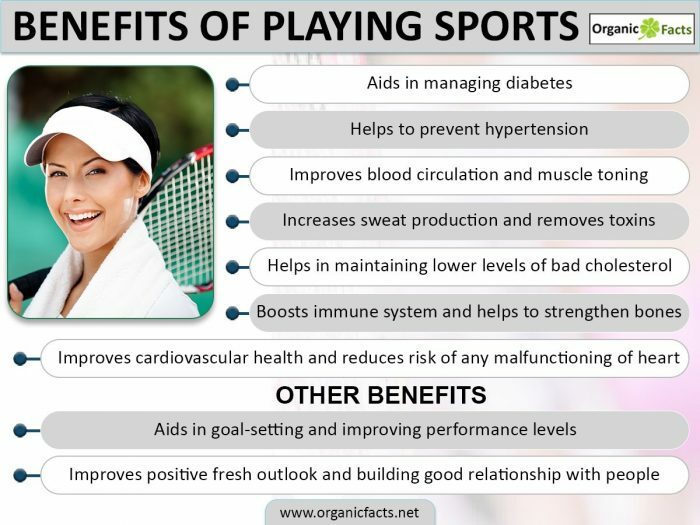 Let’s see how sports aid your body to stay healthy. Ah! The sweetest work around the internet, keeping the weight under control. You can go through diets, running, walking to achieve that. But perhaps it is sports that you can continue for hours. While playing outdoor games like Racquetball or Pickleball, you won’t even notice how time flies by. All those burned calories along with a controlled diet, you got a healthy recipe for weight control. One of the main reason of staying tired is improper blood circulation. When you allow your body to be flabby and inactive, the blood circulation gets less effective. You can regain the effectiveness by playing sports, sending a message to your body. Sports also improves the quality of how our body consumes oxygen. It helps us to intake more oxygen with each breathing and energize of blood cells. The improved circulation then makes sure the blood reaches properly to the brain and other parts of the body. A total boost for our immune system. How do you like to see yourself, a person literally carrying a pile of fat or a strong, shaped person? I guess not. Sports help you to fight those fats, spending them in calories. Also, the process your body goes through ensuring you get better bone density and stronger. I can go on for a long time with the benefits of playing sports. For example, better mental health, diabetes control, cholesterol control etc. But the 3 reasons I discussed above are enough to get engaged with sports on a regular basis. Why would you leave the chance of achieving some health benefits while having fun as well? Choose your favorite outdoor sport, look for venue nearby and make yourself regular. Do not let your best friend turn into your worst nightmare.